We believe in a conservative approach to dental care. The caring, experienced team at Woonona Dental understands that it’s vital to keep your natural teeth in any possible situation. At Woonona Dental we’re able to provide root canal treatments without referring you to another practice. 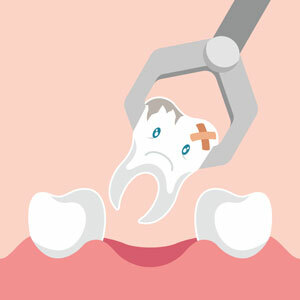 Wisdom teeth are generally the very last teeth to erupt and usually form properly aligned which require no treatment. However, if the jaw is not large enough for these teeth to erupt it can cause dental problems. If your wisdom teeth are partially erupted at Woonona Dental we are able to remove them one at a time using local anesthetics or will book an appointment to have them removed under general anesthetics. Alternatively, you may be referred to have your wisdom teeth removed by an oral surgeon. You will need to discuss the option that best suits you with the dentist as it will depend on the problem and the number of wisdom teeth you are required to have taken out. If you’ve been putting up with tooth pain, don’t delay seeking care. Your caring and gentle dentist will help get you out of misery and smiling before you know it. Contact Woonona Dental today to schedule your appointment or for further information!